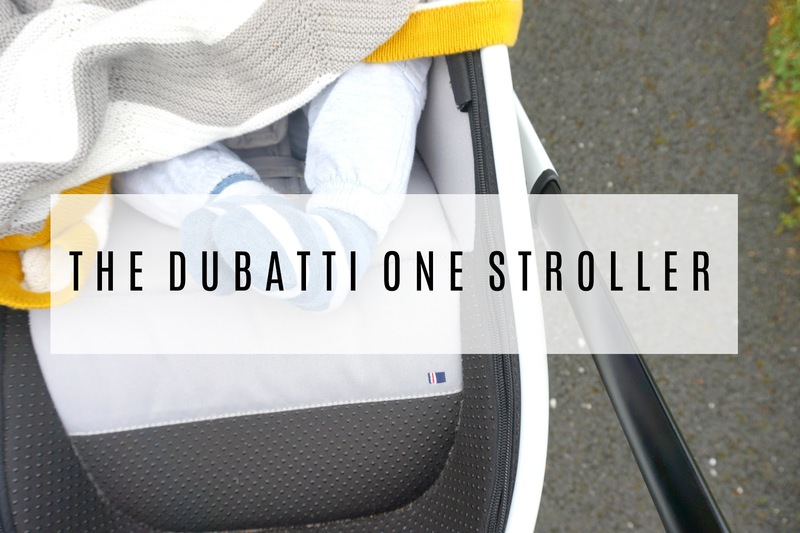 We have recently collaborated with Dubatti and look forward to sharing all my honest thoughts on the pram and share all of our adventures with you. When we received the Dubatti pram, I was overly excited. Before receiving, I got to choose what colour frame, fabric, and handlebar I wanted. There was a good choice of colours, and there was a preview of the pram of your colour choices so you could see what it looked like. There was also a choice of wheels, all terrain or city life. I decided to go for all terrain wheels as thought it may be better for us as we love to go out for walks and most places are quite bumpy, rocky and got hills. The first thing my partner and I did was get everything out of the boxes. We were also given the carrycot that comes with the pram, but Freddie is too big now, and so the carrycot won't be used. I did take it out and looked. The first thing that interests me was the high-quality mattress. The mattress is breathable and very padded. It's spacious which is great and has a support base if you wanted to put the carrycot on the ground. 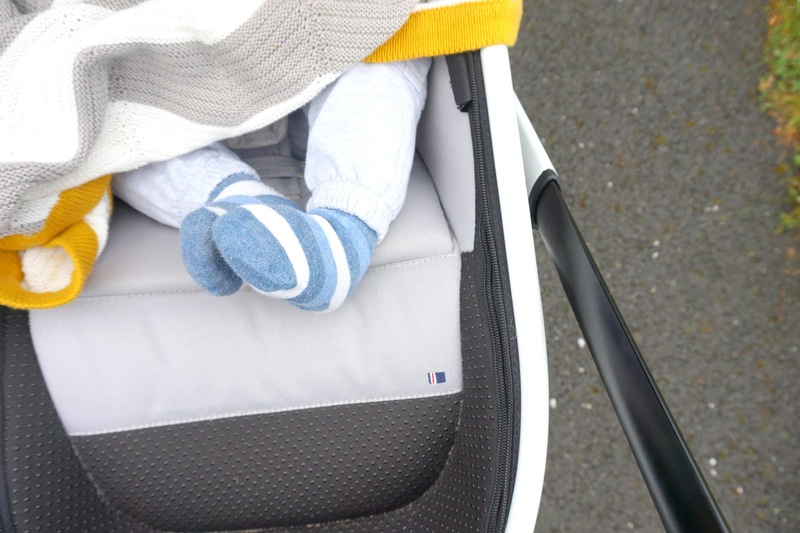 The carrycot was also in the choice of colour I chose which was grey. Putting the pram together was simple, and we didn't have to read the instructions, only once when I got confused with the wheels, only to realize I had put them the wrong way (oops). Otherwise, the rest was pretty easy to assemble. The leather handlebar is adjustable and is a square shaped bar. My partner would have liked the bar to go a little higher, but it was the right height for me, and I am 5 ft 7. There's also bag hooks at the end of each side of the handlebar which is handy for any changing bags. The tires of the pram are large but not too big. 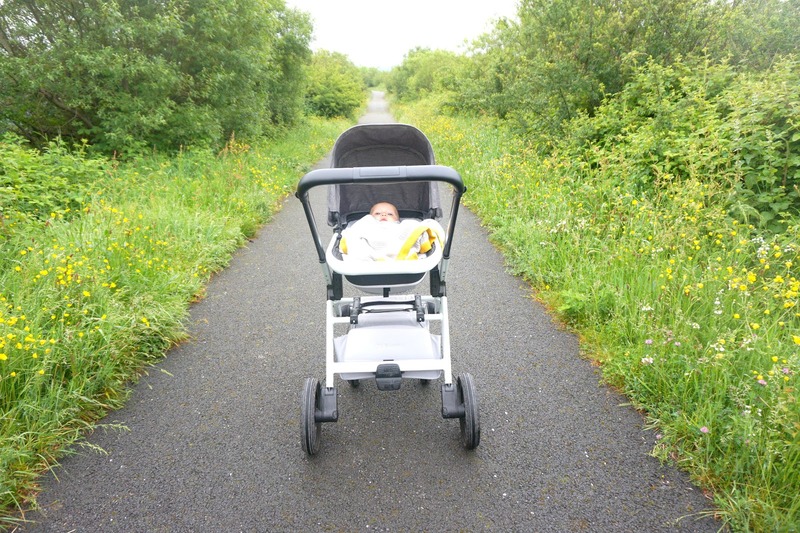 The pram is smooth to push, and the tires have been perfect for some of our walks. 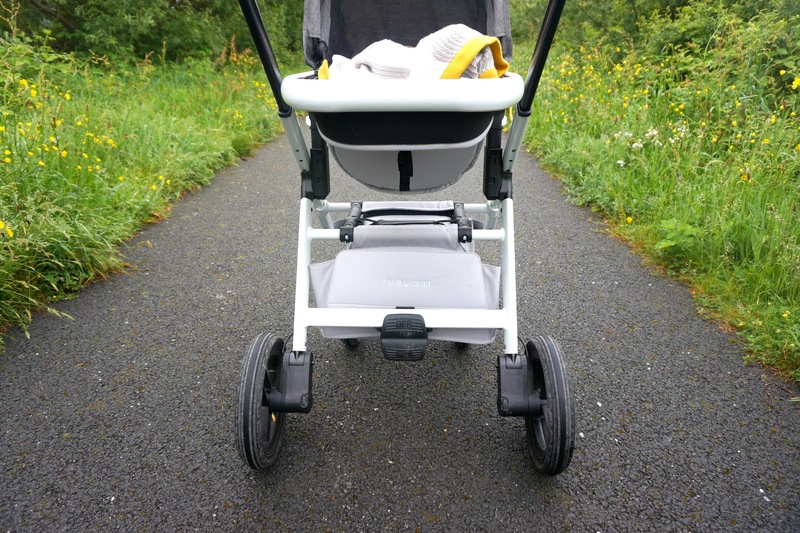 I have found that if you do an 180 or 360 degree turn with the pram, then the front wheels can get stuck onto each other, but it's easy to undo and it's never really been a huge problem. It can also be a little heavy to turn and push with one hand, but the pram is very sturdy and strong. You can also lock the front wheels if preferred. I was really pleased with how strong the whole frame is but is also light to carry when folded. To unfold the pram, you have to take the toddler seat off and pull the handle that's on top of the fabric shopping basket. It does take quite a bit of space in the boot, but it has never bothered us. It can also stand upright independently when folded. I chose the grey colour fabric for the seat. It's a really spacious seat with an adjustable hood which I absolutely love. The hood zips onto the top of the frame. 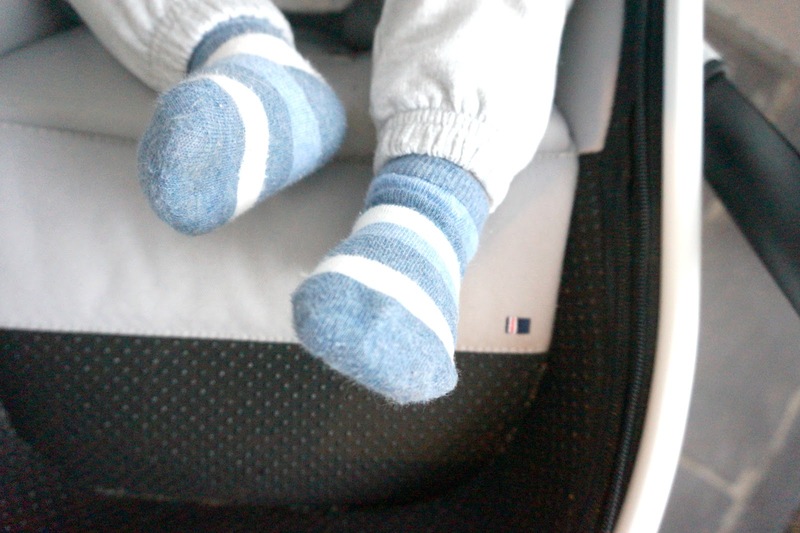 The footrest isn't adjustable but is comfortable, especially for older babies than Freddie when they can reach to rest their little at the bottom of the footrest. There's a different material for the footrest, ideal for mucky shoes! You can face the toddler seat forward or parent facing. Freddie has been parent facing for me, but I have turned the seat to forward facing, and the pram still looks nice. There's a 5-point harness with comfortably padded shoulder pads for your little ones. There's also a padded material that goes over the bottom clip-in strap. A padded leather safety bad clips into either side of the seat. There are 4 seat positions which is great if baby likes to sit upright, half way or all the way down for a nap. The fabric shopping basket is really easy to attach on the frame. I wouldn't say it's big but there is quite a bit of space in the basket. With a strong magnetic closure everything is safe inside the basket. The breain frontst infront of the shopping basket with the words 'On' and 'Off'. It's easy to put the break on and off with one foot. 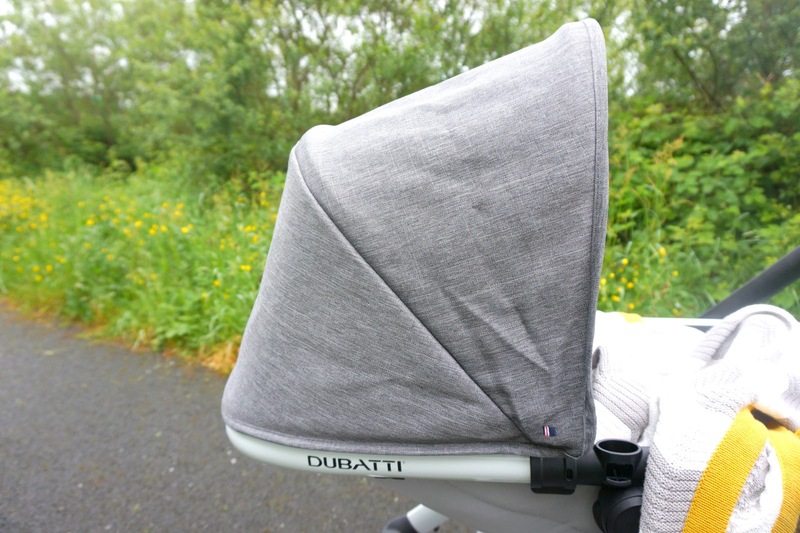 The stroller also comes with a raincover that fits the toddler seat and carrycot. There are no fastenings on the raincover but we have no had any problems in it blowing away. So far, I really do like the pram. We use it a lot and mostly for the school runs each morning. The size of the frame is perfect size to go through doors. It's lovely to push and I'm really looking forward to more adventures with this pram. 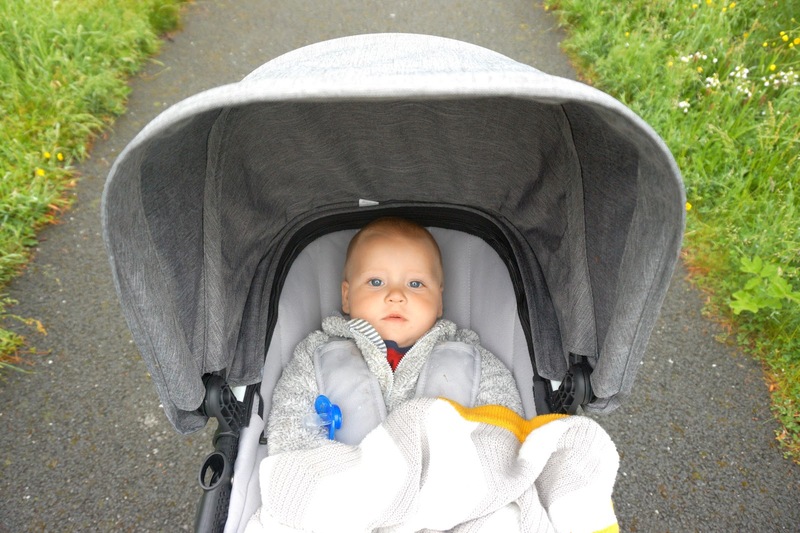 Freddie has always looked comfortable in the pram and loves having the seat upright as he loves having a nosy around. 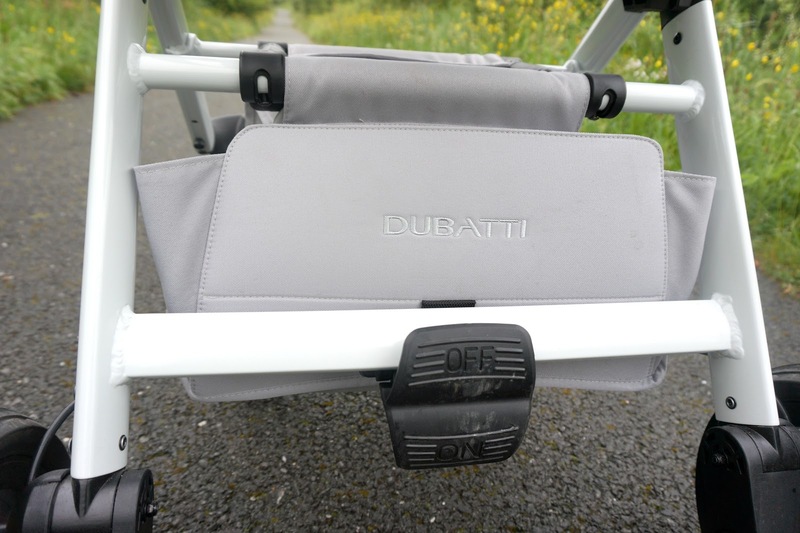 * We have been given the Dubatti Stroller free of charge in return for an honest review and other work. As always, all my opinions, images and words are entirely my own.